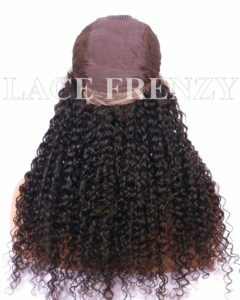 Every lace wig wearing woman want a secure fit towards their beautiful lace wigs that have adjustable straps on the interior of the wig cap. Mostly, you’ll find these adjustable straps on Glueless Full Lace Wigs , Lace Front Wigs , U-Part Lace Wigs as well as 360 Frontal Wigs. Some will request this feature on Custom Lace Wigs which they’ve decided to utilize little to no wig adhesives while wearing lace wigs. Thus the request for adjustable straps. But at times the elastic in the straps will begin to wear due to initial incorrect methods of hooking your straps before wearing .Shown below , one must never crisscross the straps , as tempting as it may seem . The proper way to secure your adjustable straps is by the numbers shown above , from left to right straps must either be placed in section (loop) 4, 3, 2, 1 ( never the left strap placed at 2 and the right placed at 4). 2. Gaping at the nape of the wig. 3. Stretching out the elasticity of the wig straps – leading to flabby worn out straps that will not give that superior secure fitting one desires. 4. Never wash your lace wigs with straps still hooked into loops- always remove . Having adjustable straps in place ( especially overlapping) will eventually lead to loss in elasticity. 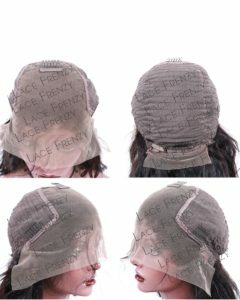 Make sure you place each strap facing/meeting each other – NEVER overlapping or crisscrossing for the best results in achieving a snug fit to you 13×6 Lace Front Wigs and other lace wigs that’s crafted with adjustable straps on the interior wig cap. This entry was posted in 360 Frontal Wigs, Glueless lace wigs, Hair, Heat Safe Lace Front Wigs, Heavy Density Lace Front Wigs, Human Hair Lace Front Wigs, Human Hair Wigs, Lace Front Wigs, Lace Wigs, Silk Base Lace Front Wigs, Silk Top Lace Front Wigs, U-Part Lace Wigs, Virgin Hair Lace Wigs, Virgin Human Hair 360 Frontals with Bundles, Wig Knowledge and tagged 360 band lace frontal wigs, 360 wigs, adjustable straps lace front wigs, Brazilian Virgin Hair Lace Front Wigs, human hair lace front wigs, Lace Front Wigs.